Take one small step to show your appreciation with the Giant Leaps in Space Poster Series which celebrates mankind’s space exploration. 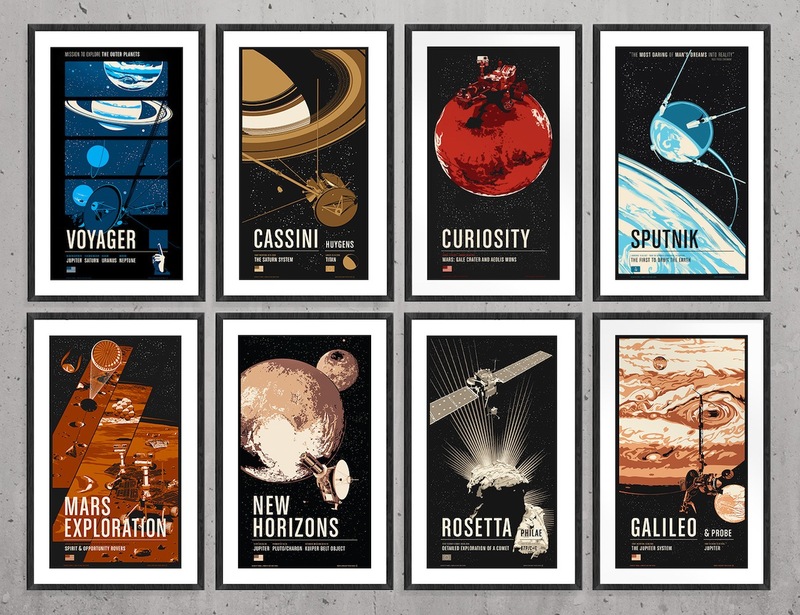 Take one small step to show your affinity for space missions with the Giant Leaps in Space Poster Series. 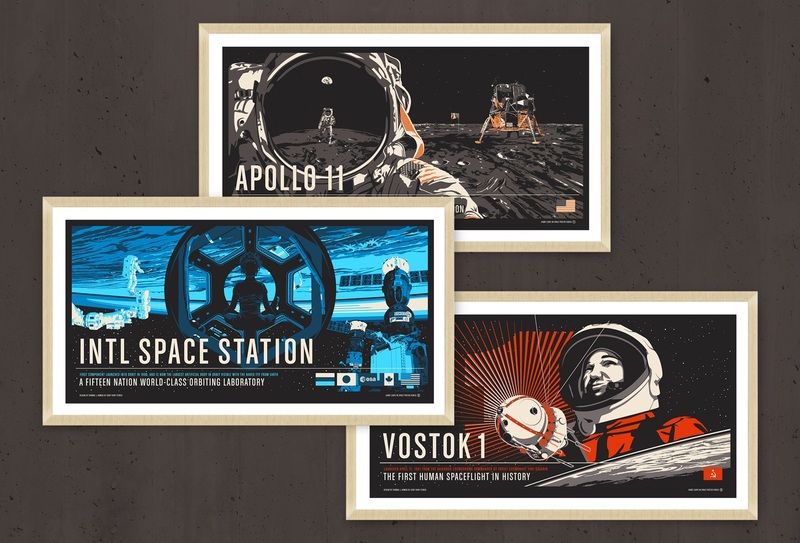 Celebrating mankind’s space exploration, this series of posters captures key moments in history. 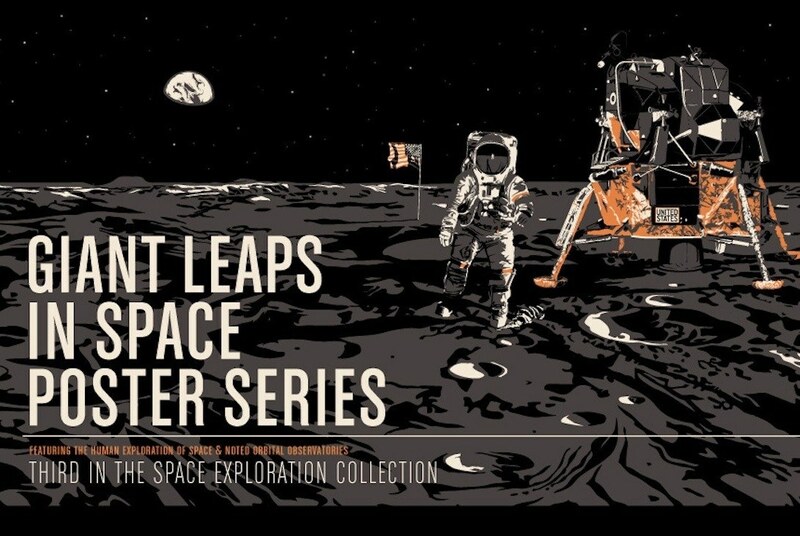 The Giant Leaps in Space Series features three poster designs. 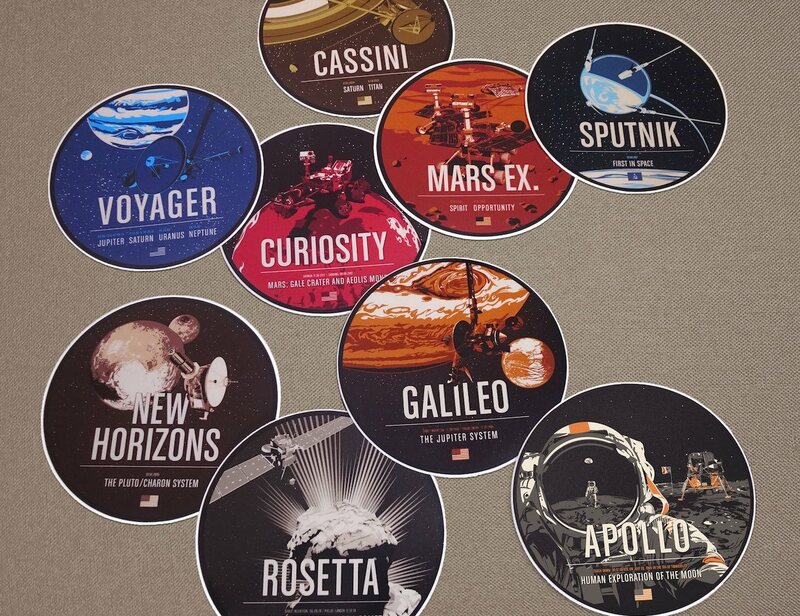 These include Apollo 11, the International Space Station, and Vostok. 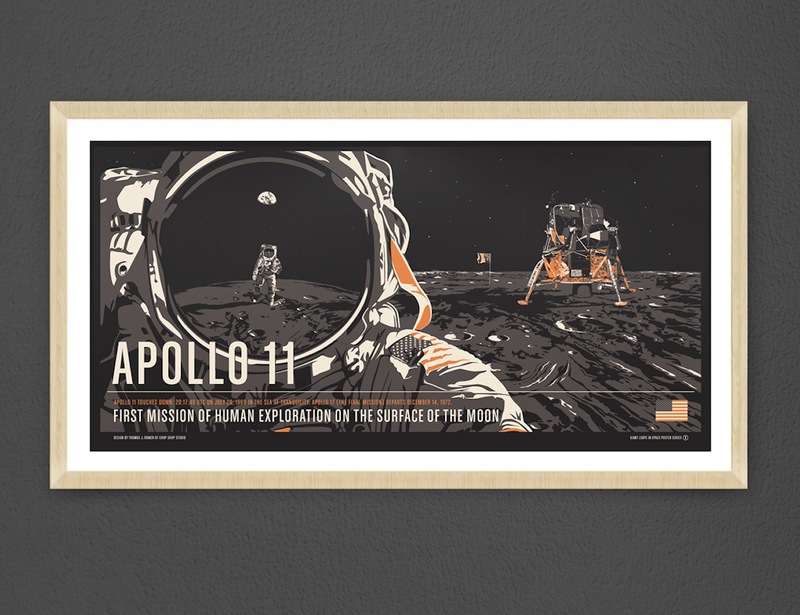 The Apollo 11 poster showcases the moment Neil Armstrong and Buzz Aldrin stepped onto the moon in 1969. 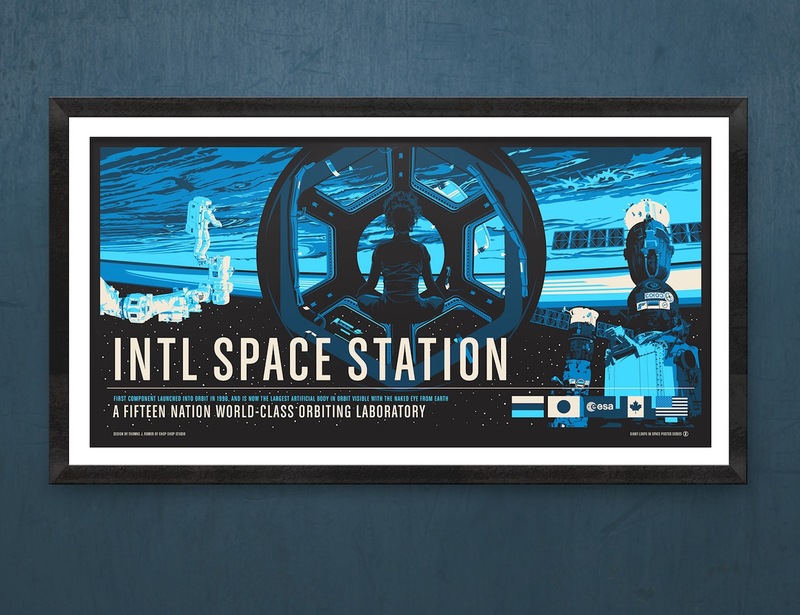 Additionally, the ISS poster displays the unity of 15 nations dedicated to space exploration. 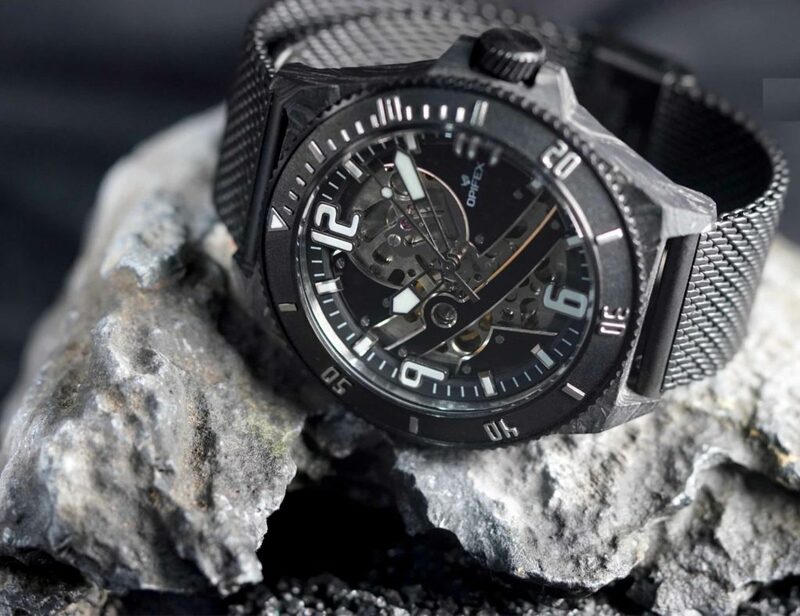 Finally, the Vostok, currently in the design stage, honors the first spaceflight in history. 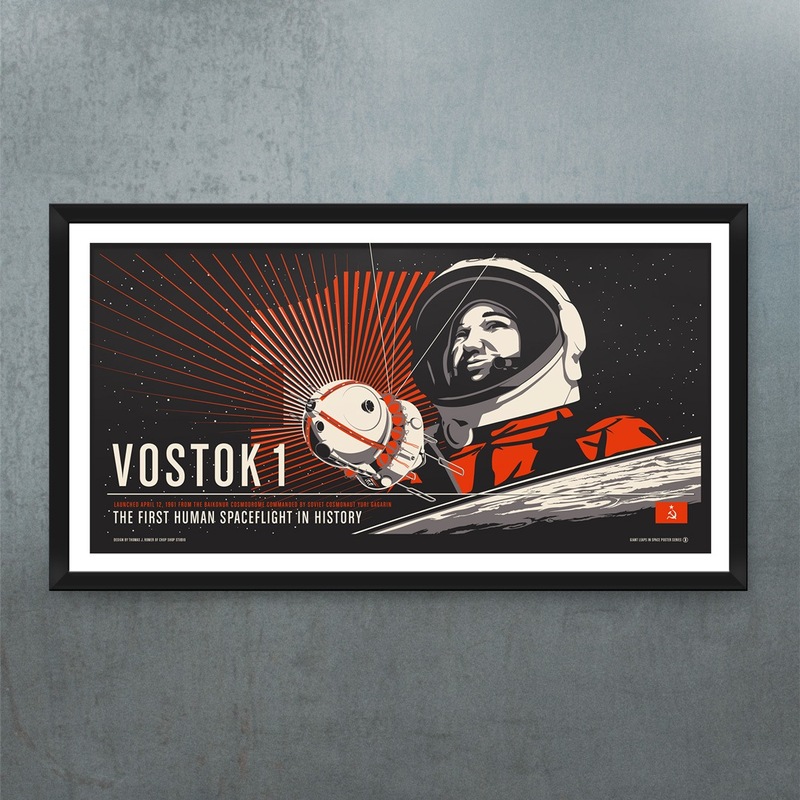 On this poster is the legendary Yuri Gagarin, the Soviet cosmonaut. In addition, the Giant Leaps in Space Series inspires you instantly to push the envelope and go where no man has gone before. Printed on 19×13-inch Red River archival paper, each poster measures 18 by 9 for only $29. Larger sizes, including a 36 x 18 hand-screen printed version for $55 are available. In addition to the prints, the Giant Leaps in Space Series features stickers, t-shirts, and even desktop and mobile wallpapers.